Ti skated for us for about 5 years joining the team in the late 90's. He had a few pro model decks with us. 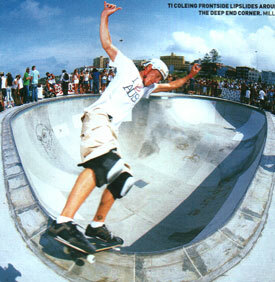 Based in Sydney, Ti skated mostly vert and was a skate coach for many years with Waverly council coaching in Bondi most Saturday mornings.